1. Cover your entire trailer load with a tarp or plastic cover. 3. The use of trolleys, furniture ties, blankets and ropes help protect your goods when loading or on the vehicle and make moving easier. 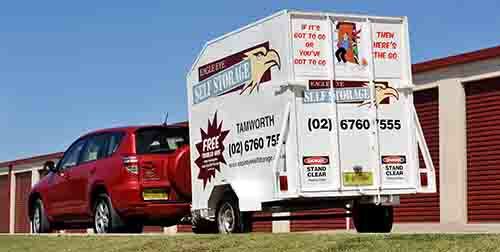 Ask about Eagle Eye Self Storage's Moving Equipment Hire.